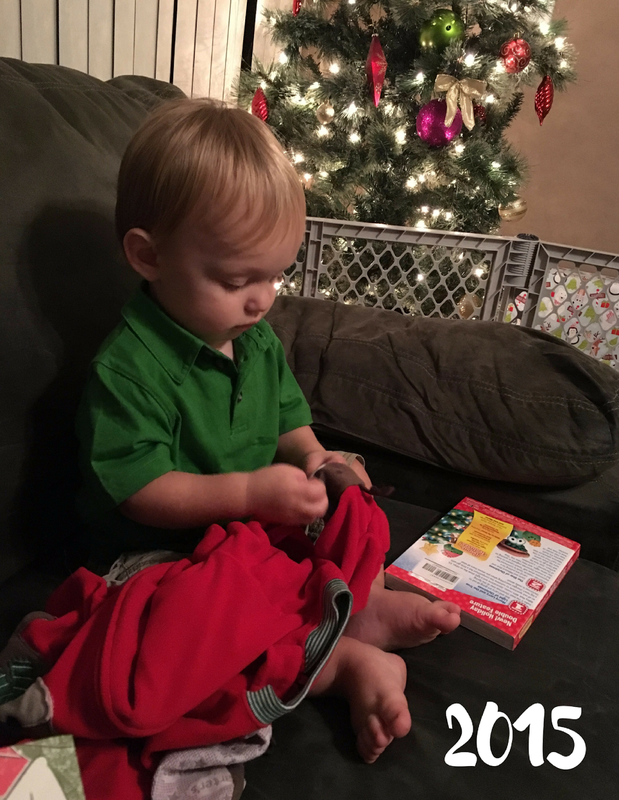 The Christmas Eve Box is one of my very favorite traditions that we started back in 2014, Jacob's First Christmas. As a kid I always loved that my parents let us open one present on Christmas eve, as it added to the anticipation of what was to come the next morning. 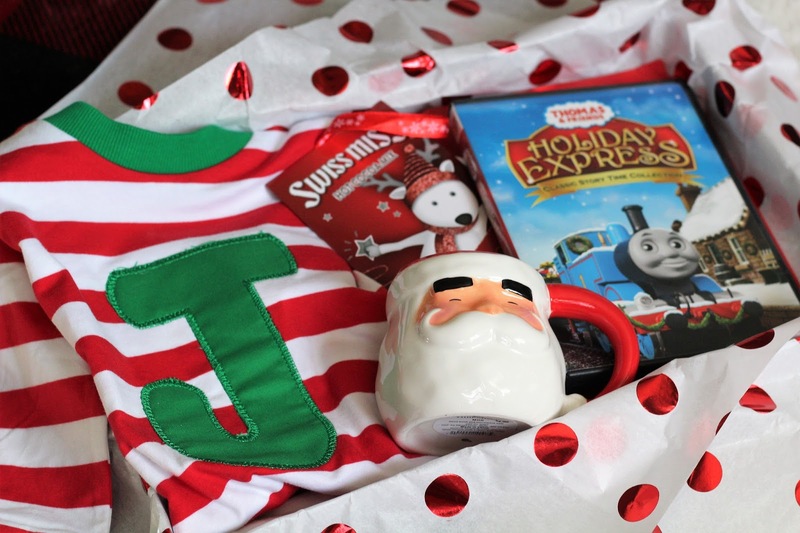 I knew I wanted to carry on this tradition with Jacob, and I decided to combine it with a few other traditions - new Christmas Pjs, and a Christmas Eve movie night. 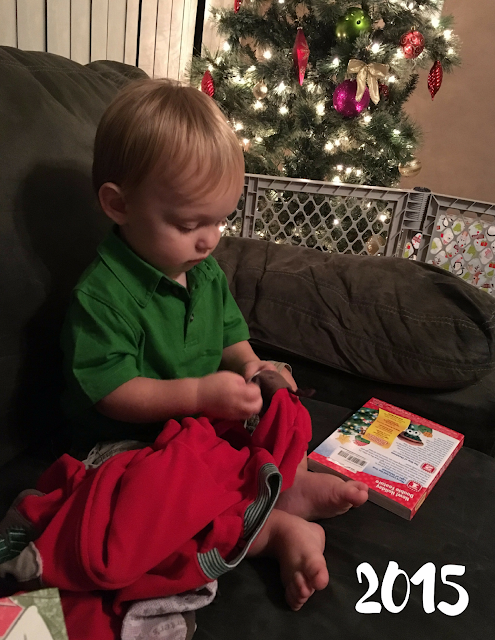 Jacob's Christmas Eve box always includes a brand new pair of Jammies to wear to bed Christmas Eve and while he's opening presents the next morning. It also includes a movie to watch on Christmas Eve. It's a really nice way to wind down and relax as a family before heading off to bed. Some of my favorite memories are the three of us cuddled up on the couch watching a festive movie near the glowing tree. The movie's we've included have been relatively short and favor the cartoons he likes best, but I'm hoping to add some classics to our collection as Jacob grows. This year we also added a Christmas mug and hot chocolate, now that he's a little older. I'm thinking of writing his name, age, and year on the bottom of the mug with a permanent marker or paint pen. 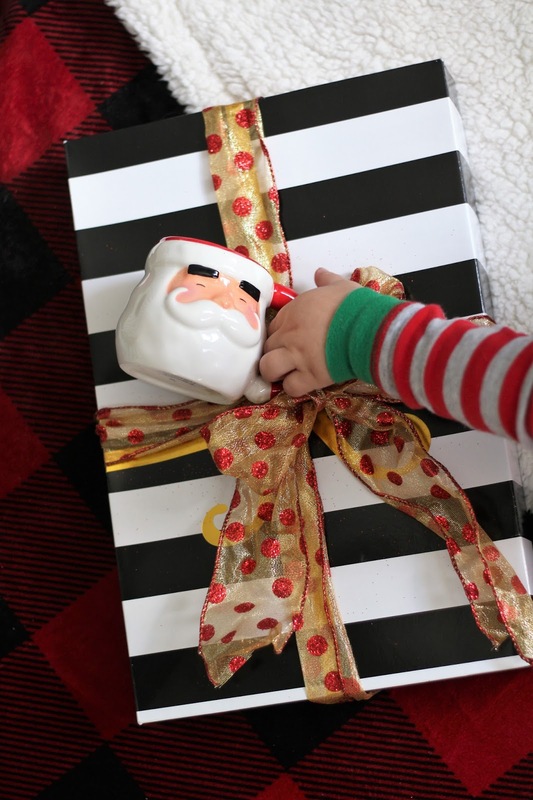 I love the idea of him having a growing Christmas mug collection to someday share with his own family. Do you do a Christmas Eve Box? What do you include? 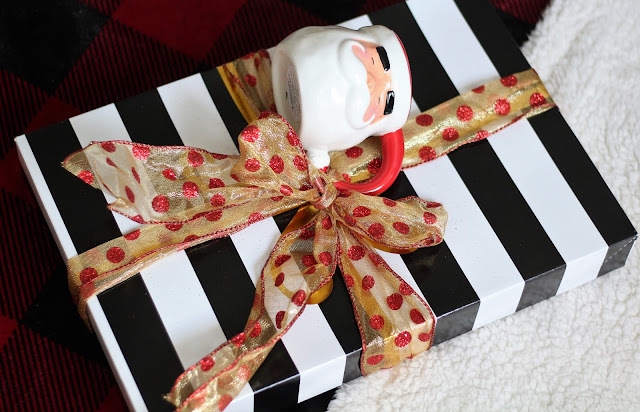 7 comments on "The Christmas Eve Box"
this is the cutest idea, I think I might have to adopt this tradition! I love this tradition! We usually do something like this but I totally forgot to pack it this trip. It's so cute! So cute ☺ We also do jammies and a family movie. So much fun. I've never done this but it's toooo cute! This is a really cute idea and great tradition! This is so cute!!! We do it too! 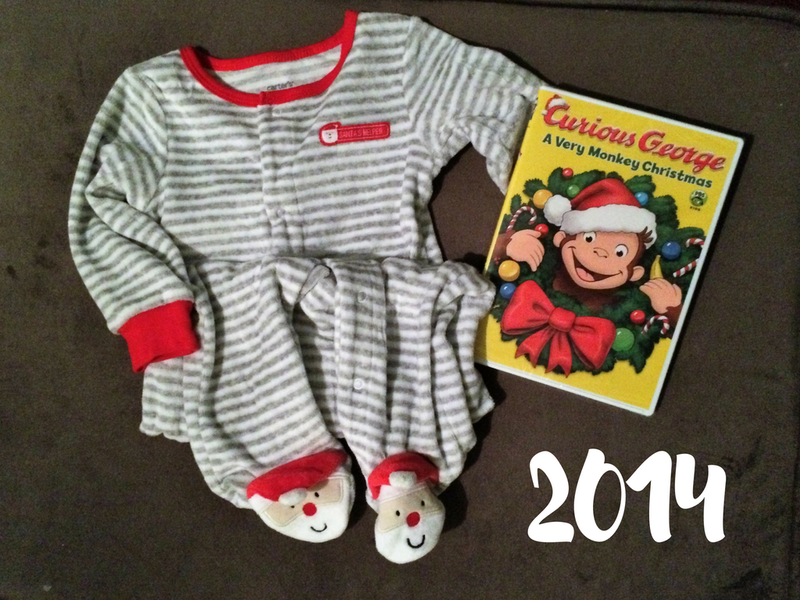 I have two girls so they get a book, a movie, and matching Christmas jammies. They love it! Enjoy your precious family moments and Merry Christmas!! !